The location was in a circular drive outside a side entrance to a very nice hotel in Tyson's Corner, Virginia. The "Take it!" came after looking at this sample of what has to be one of the most ugly bark arrangements ever to be on the outside of a trunk of a tree. I had looked at it many times and thought maybe it might just be a seasonal thing and the flaky part of it would drop off and a smoother surface would emerge. No such thing has been in the offing - so am reconciled to the fact that this is as good as it is going to get - lol. The After Take: I have not shown this photo to many but to those whom I have - they all agree - it certainly is not one of natures beautiful displays. 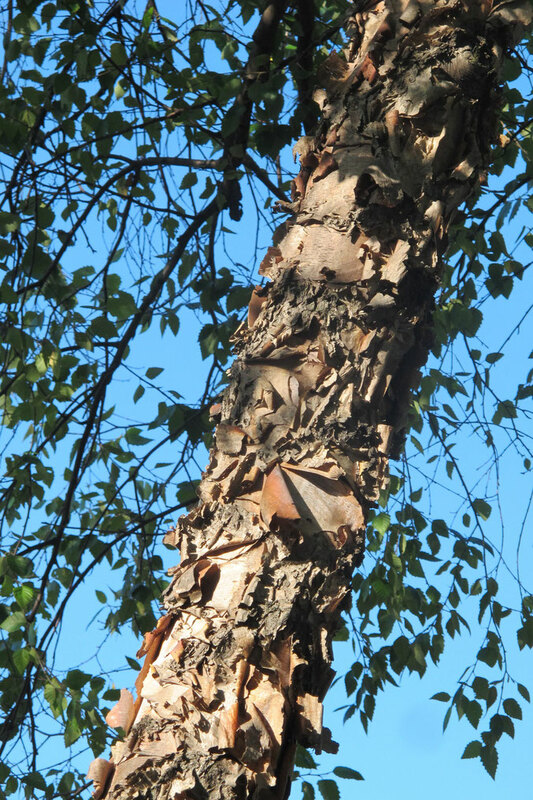 I can only surmise that this type of tree has gotten its bark to this shape via evolution that may have had animals gnawing on it at one time or some weather condition that called for this random flaky look for ventilation or some other circulatory reason. I will keep looking for the beauty available with this tree - but think that I will not find it on the outside and will be content with knowing that it is thriving and probably quite happy to be among the living. Wishing all of you a blue sky day like the one in which this photo was taken. Ya that thing wouldn't last at our house. My wife would make me cut it down. I have never seen a tree like this before. It looks like its dying. But it still has leaves, how strange. I am going to show this to our earth science teacher and see if he can explain this one. Sally: I think you have hit the nail on the head. I further think you could engage in both feelings at once and not have to choose. MHampy: Thanks for taking this one to an expert. Please let us know any specifics that you find out.